Modern Church is an international society promoting liberal theology. Founded in 1898 to defend liberalism in the Church of England, we now work ecumenically to encourage open, enquiring, non-dogmatic approaches to Christianity. 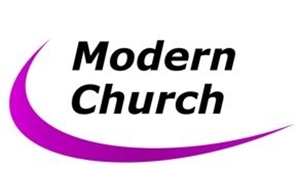 Membership of Modern Church entitles members to receipt of our journal “Modern Believing” and our newsletter “Signs of the Times”. Besides supporting the campaigning work of Modern Church, membership also entitles members to a discount on the price of our annual conference.